In practice A. nilotica is unlikely to present serious difficulty in its recognition. As a tree with bright or golden yellow flowers in round heads, straight stipular spines in pairs but never inflated into “ant-galls” and indehiscent but compressed pods, there are few species with which it is likely to be confused. A. seyal, widespread in tropical Africa, also has yellow flowers but powdery white to red or yellow bark on the trunk, not dark and rough, and the pods dehisce. A. karroo in southern Africa has similar flowers but normally glabrous branchlets (in A. nilotica usually more or less pubescent to tomentose except in the northern part of its range) and, again, dehiscent pods. The only other species perhaps closely related to A. nilotica is A. gummifera, a rare endemic to Morocco (where A. nilotica does not occur), differing in having only 1–3 pairs of pinnae and eglandular petioles to the leaves. For further information about A. gummifera see Monod (1974). An often useful field character for A. nilotica is that some of the spines, though straight, are directed downwards (deflexed). Although A. nilotica was described by Linnaeus as long ago as 1753 (as Mimosa nilotica), its subsequent history has been confused nomenclaturally and taxonomically. It has often been incorrectly called A. arabica or A. scorpioides. It was recognised as variable and several varieties were described under one name or another up to the 1920's. At the same time some of the subspecies of A. nilotica were until fairly recently thought to be distinct species: for example, eastern African plants were usually called A. subalata and southern African ones A. benthamii. A major step forward in understanding A. nilotica as a widespread and complex species was taken by Hill (1940), where he recognised five varieties. However, he failed to deal satisfactorily with the complex in East Africa. Brenan (1957) completed and refined the picture for Africa, recognising the races more appropriately as subspecies and Ross (1979) gives the latest account for the continent. Until recently observations and material from Asia have been inadequate to allow a clear picture of the remarkable complexity of A. nilotica there. 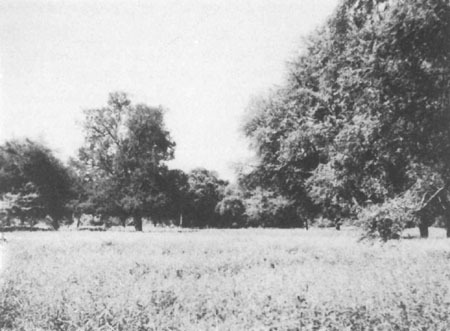 Although Cooke(1903) drew attention to a cypress-like growth variation, it was not until Ali & Faruqi (1969) that the pattern in Asia was clarified (see also Ali, 1973). Fig. 9. Acacia nilotica. Drawing of subsp. kraussiana but general appearance representative; however, compare pod variation in Fig. 11. (1) flowering branch (approx. x .3); (2) part of leaf-rhachis showing glands (approx. x 3); (3) flower (approx. x 5) with enlargement of anthers to show glands; (4) flower opened out to show ovary (approx. x 5); (5) pods (approx. x .3); (6) seed (approx. x .5). A tree usually 2.5–15 m high, sometimes as low as 1.2 m or (El Amin, 1973) up to 25 m. Bark or trunk rough and fissured, black to blackish grey or brown, never powdery or peeling. Crown variable in outline, in Africa flattened or rounded and spreading, in India and West Pakistan varying to hemispherical or narrow and erect. Young branchlets almost glabrous to subtomentose. Spines paired, mostly 1–8 (very rarely to 13) cm long, straight, never enlarged or inflated, often deflexed. Petiole with 1(-2) glands. Pinnae 3–9 pairs, with glands on the rhachis at the junction of at least the topmost pairs. Leaflets mostly in 12–27 pairs per pinna, rarely as few as 7 or as many as 36, glabrous to pubescent, 1–5–7 mm long, 0.5–1.5 mm wide. Flowers bright or golden yellow, sweetly scented, in round fluffy heads 6–15 mm in diameter, on axillary peduncles 1.2–4.5 cm long. Pods very variable (see descriptions of subspecies), indehiscent, dark brown to grey, straight or curved, glabrous to velvety, compressed but rather thick. Seeds 6.16 per pod, lying transversely to long axis of pod. Fig.10. Acacia nilotica. Map showing approximate distribution of species and subspecies. The species as a whole is widely distributed in subtropical and tropical Africa from Egypt and Mauritania southwards to South Africa and in Asia eastwards to India. The more detailed distributions of the subspecies will be given under each. A. nilotica is occasionally cultivated elsewhere. A. nilotica is generally accepted as a single, natural, though exceedingly variable species. It is at present divisible into nine subspecies with more or less distinctive geographical ranges. The subspecies have been differentiated mainly on the shape, size and degree of pubescence of the pods but the degree of pubescence of the young branchlets, the habit of the tree and the shape of the crown are also important. Although the vast majority of specimens with pods can be referred to their correct subspecies without difficulty, it may sometimes be almost impossible to identify with confidence sterile specimens or those in flower but without pods. Even with pods, some specimens present difficulty in being “untypical”. This may be caused by hybridisation between different subspecies blurring their distinctions, or because we do not yet have a complete and clear picture of the pattern of variation within A. nilotica. Fig.11. Acacia nilotica. Pods of the various subspecies all approx. x .4, with surface detail of each approx. x6. A. vera Willd. (1806), non Garsault. Young branchlets glabrous to subglabrous or shortly puberulous. Pods necklace-like, narrowly and regularly constricted between the seeds, glabrous or almost so. Subsp. nilotica occurs from Egypt and the Sudan westwards through northern tropical Africa to Nigeria and Cameroun. It has been in cultivation in Tanzania and Zanzibar and in Iraq; it has occurred in P.D.R. Yemen but its status is uncertain. A nilotica subsp. nilotica occurs along river banks and seasonally flooded areas near rivers. Mahgoub (1978–9) draws attention to two growth forms of subsp. nilotica in the Sudan, one with a short bole and hemispherical crown, the other with a long bole and “a high rounded crown”. Their occurrence needs further study. Young branchlets glabrous to subglabrous or thinly pubescent. Pods necklace-like, narrowly and regularly constricted between the seeds, densely white-tomentellous. Subsp. indica occurs in the P.D.R. Yemen, the Yemen Arab Republic, Oman, Pakistan (Punjab, Sind), India (Punjab, Uttar Pradesh, Bengal, Madhya Pradesh, Madras, Bombay) (see Ali, 1973) and Burma. In Africa it has been found in Tanzania, Ethiopia, Somalia and Angola; probably it is often not truly indigenous in Africa but originates from planted trees, but its habitats in Ethiopia and Somalia appear to be natural. It is or has been also cultivated in Iran, Vietnam (Ho Chi Minh) and Australia (Sydney, and said to be established in Queensland). The recognition of three varieties under subsp. indica by Armitage, Joustra & Ben Salem (1980) is certainly not justified: var. cupressiformis is here subordinated to a distinct supspecies cupressiformis (see below); var. vediana is a synonym of subsp. subalata (p. 32); while var. jacquemontii appears to be an entirely separate and distinct species, A. jacquemontii Benth. Similar to subsp. indica but tree with narrow erect cypress-like crown. Subsp. cupressiformis is restricted to West Pakistan (Punjab, Sind) and India (Deccan, Punjab, Uttar Pradesh, Bombay, Gujrat) (See Ali, 1973; Ali & Qaiser, 1980). Its narrow erect crown, reminiscent of a Lombardy Poplar, is unique in Acacia nilotica. Similar to subsp. indica in its pods, but young branchlets densely white-tomentose. Subsp. tomentosa occurs in Senegal, Mali, Ivory Coast, Ghana, Niger, Nigeria, the Sudan and Ethiopia. In the Sudan it occurs in riverine habitats (El Amin, 1973). A. adstringens (Schumach. & Thonn.) Berhaut (1954), non Mart. Young branchlets densely tomentose (in some Indian specimens pubescent becoming subglabrous). Pods not necklace-like, but with the margins distinctly and often irregularly crenate, 1-3-2.1 cm wide, with the surface densely and persistently tomentose. Subsp. adstringens is widespread in the northern part of tropical Africa from Senegal and the Gambia to the Sudan and extending southwards to Cameroun in the west and Somalia in the east. Specimens of subsp. adstringens have been collected in Libya and Algeria but whether they were from indigenous trees or not is uncertain. It is recorded also from Pakistan (Sind) and India (Berar, Bombay) (Ali, 1973). These specimens differ from those from Africa in having glabrescent branchlets. Ali also records it from Arabia but the material is inadequate for certainty. Ali & Qaiser (1980) state that subsp. indica and subsp. hemispherica hybridise and that backcrosses with the parents produce plants similar to subsp. adstringens and subsp. subalata. This may well be the explanation of these taxa in Asia. A. taitensis Vatke (1880) ? Young branchlets densely pubescent to subtomentose. Pods not necklace-like, oblong, their margins straight or slightly crenate, 1.5–2.2 cm wide, densely and persistently subtomentose all over. The subsp. subalata is close to subsp. adstringens, but differs in the longer indumentum on the branchlets and in the pods having their edges normally straight or nearly so and a rather well-defined flattened margin. Subsp. subalata occurs in eastern Africa in the Sudan, Ethiopia, Uganda, Kenya and Tanzania (Ross, 1979). It has also been recorded from Pakistan (Sind) (Ali, 1973) and India (Ali & Qaiser, 1980), and some specimens from Sri Lanka (Cooray 69100602 R, Kostermans 25247, both at Kew) are very close to subsp. subalata, but with more thinly pubescent branchlets. Its occurrence both in Pakistan, India and Sri Lanka needs confirmation and further study. Ali & Faruqi (1969) indicate hybrid swarms between subsp. hemispherica and subsp. indica giving rise to what has in West Pakistan been called subsp. subalata. This may be locally true but cannot possibly account for subalata in Africa which occurs over very large areas where the putative parent subspecies are quite unknown. See also Ali & Qaiser (1980). In Africa subsp. 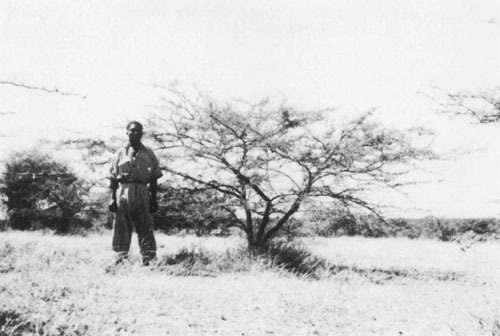 subalata is recorded from wooded grassland, bush and dry scrub (El Amin, 1973; Ross, 1979). Its habitat thus appears not to be riverine as in subsp.nilotica and subsp. tomentosa, and subsp. subalata thus seems ecologically as well as morphologically distinct; see also comments on next page under subsp. kraussiana. Bally 1633 (Kenya) at Kew has pods similar in appearance to those of subsp. leiocarpa (next page) but densely tomentellous, thus recalling subalata, and perhaps of hybrid origin. A. benthamii Rochebr. (1898), non Meisn. Young branchlets more or less densely pubescent. Pods not necklace-like, oblong, with margins more or less shallowly crenate, more or less pubescent all over at first, with the raised part over the seeds becoming glabrescent and shining and black when dry, rather narrow 1–1.7(-1.9) cm wide. Subsp. kraussiana is the prevalent race in southern Africa and indeed the only subspecies to occur south of Tanzania. It occurs in central and southern Tanzania, Zambia, Zimbabwe, Malawi, Mozambique, Angola, Botswana (? ), South West Africa, Namibia, South Africa and Swaziland. Specimens have been collected in Ethiopia, the Yemen Arab Republic and Oman much resembling subsp. kraussiana, but need further investigation as they would be geographically anomalous. The habitats of subsp. kraussiana - dry thorn-scrub, dry river valley scrub, woodland, etc. - appear similar to those of subsp. subalata (see remarks on previous page). Young branchlets glabrous to sparsely or rarely more densely puberulous. Pods not necklace-like, oblong, with margins straight or slightly crenate, glabrous or subglabrous all over, rarely slightly puberulous, narrow, 1–1.3 cm wide. Subsp. leiocarpa is restricted to East Africa, where it occurs in Ethiopia, Somalia, Kenya and Tanzania. At least in Kenya and Tanzania it is characteristically coastal and at low elevations in bushland and wooded grassland. It is here in strong ecological contrast to subsp. subalata and subsp. kraussiana. However, in Ethiopia and Somalia, it only appears to occur at between 1 000 m and 1 800 m alt., and specimens from these areas show stronger indumentum on the young branchlets. The matter requires further study as we may be dealing with two distinct entities. Tree hemispherical in outline, without any clear trunk. Young branchlets shortly pubescent. Pods not necklace-like, with margins slightly crenate to straight, narrow, 1.1–1.3 cm wide, subglabrous, with very short inconspicuous puberulence. Subsp. hemispherica is restricted to dried stream beds in a small area near Karachi in Pakistan. Its extraordinary growth habit, forming an hemispherical bush up to 3 m tall and 10 m wide, that has been aptly compared in shape with an igloo, is unparallelled anywhere else in the range of the species. As has been already indicated, the picture of the pattern of variation in A. nilotica is not everywhere clear. A minority of perplexing specimens still give difficulty in deciding their identity. Careful study of the ranges of variation in the field would be valuable and also similar study of the situation where two or more subspecies overlap in their ranges. The ecological differences between the different subspecies need more attention than they have received. The origin and variation of subsp. subalata in India and West Pakistan. Further comparison of subsp. leiocarpa in Ethiopia and Somalia on the one hand, and in Kenya and Tanzania on the other. Further study of subsp. tomentosa and subsp. indica: the distinction is not always as clear cut as might be wished, especially in eastern Africa and may prove to be varietal rather than subspecific. Further material and study of subsp. adstringens in Asia. Material is still inadequate from various areas and the subspecies occurring are still doubtful; among the areas are: Mauritania, Cape Verde Islands, Central African Republic, Arabia, Afghanistan. Ali, S.I. & Faruqi, Shamin A.
Ali, S.I. & Qaiser, M.
1980 Hybridisation in Acacia nilotica (Mimosoideae) complex. Bot. Journ. Linn. Soc. 80(1): 69–77. 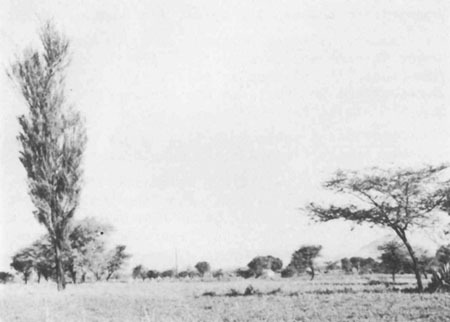 1978–9 On the subspecies of Acacia nilotica in the Sudan. Sudan Silva 4(23); 57–62. 1974 Note sur quelques Acacias d'Afrique et du Proche Orient. Bull. I.F.A.N. 36(3), ser. A: 655–662. 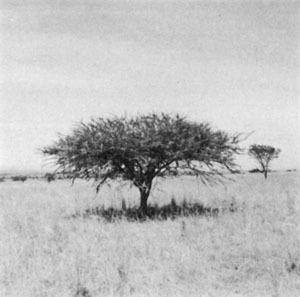 1979 A Conspectus of the African Acacia Species. Mem. Bot. Surv. S. Afr., No. 44: 106–9.